An impromptu sunday film night with the parents and nans led to me watching an unexpected, but very well written and directed film. This film which is regularly and wrongly declared a remake of the earlier 2002 film ‘The Magdalene Sisters’, focuses on Philomena (Judi Dench), an abandoned orphan who grew up in a convent in Ireland and had her child taken away from her at a young age, dedicating her life to finding her one and only son. Steve Coogan’s character, Martin Sixsmith, an ex-journalist, looking for a new heart-warming or breaking story to get him back in the game, crosses paths with Philomena and helps her in her quest to find her son, obviously for personal gain. However, the relationship which blossoms between these two characters is so touching that one can’t help but love the journalist by the end of the film. For such a serious and in fact true story which is being portrayed here by Stephen Frears, the comedy value of this film did surprise me. 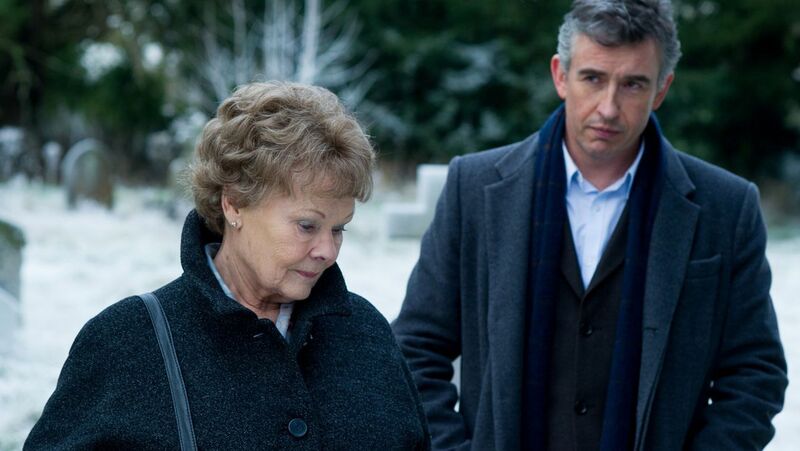 Philomena’s innocent yet sometimes crass outlook on life, as well as Martin’s cynical and sarcastic attitude to people in general, gives the very emotional and painful journey for Philomena, uplifting and funny moments which definitely help ease the watch for the viewer. Recommendation: Very emotional and distressing but also uplifting at times. Kick your feet up after a nice Sunday Roast and enjoy this film on Sky Movies on Demand!